Please understand that by submitting your request, it does not mean your book will be reviewed. I reserve the right not to review any book at my discretion, but I won’t take any book until I have decided to review your story. If I accept your review request, I will inform you. I aim for 4 weeks time period. So, please bear in mind when requesting reviews. My TBR list is very long, but I try to consider every review request. I don’t garantee a glowing review for every book submitted. If the person submitting the book for review is not happy with my final work, my review will not change. I will always offer my honest opinion, therefore I will not pull a review solely based on a negative review rating. My reviews are honest and not paid for. Some authors provide books, but it doesn’t have an affect on my reviews ratings. I will always post my reviews at my blog, on GR, on amazon if asked (usually needs editing), twitter, facebook, pinterest and tumblr and G+. I accept e-books (preferably in mobi, but I will accept pdf if is formatted for e-reader). 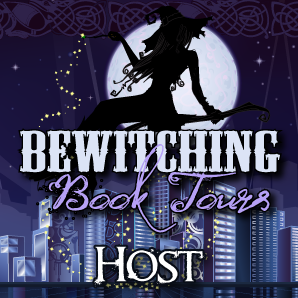 I’m available to host giveaways, author interviews, character interview, guest posts and other events. It’s free except by a giveaway. I’m a reader that decided to post her reviews online, I’m not a professional reviewer.